X-Men Origins: Wolverine is the latest and most high-profile movies to be leaked on to the internet before its official release in the cinema. Its distributor, 20th Century Fox, is said to be furious about the leak, and has even called in the FBI to investigate just how the movie found itself on the net. In a weird turn of events, however, the company has terminated the contract of one of its official bloggers, after it was found he had reviewed the yet-to-be-released movie. Fox News entertainment blogger Roger Friedman posted a review of the film a day after the leak. The highly-positive review gained some intense reactions from internet fanboys, calling for Friedman to be fired, and from Fox itself, labelling the blogger's actions as "reprehensible" and that the company "condemns this act categorically – whether the review is good or bad." The statement continued: "Roger Friedman's views in no way reflect the views of News Corp.
"We, along with 20th Century Fox Film Corp, have been a consistent leader in the fight against piracy and have zero tolerance for any action that encourages and promotes piracy. "When we advised Fox News of the facts they took immediate action, removed the post, and promptly terminated Mr. Friedman." 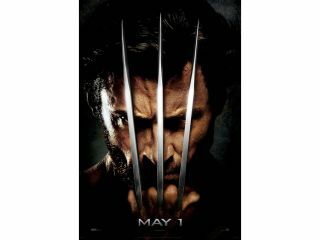 X-Men Origins: Wolverine, the latest instalment in the X-Men franchise stars Hugh Jackman and is due to be released on 29 April. According to Torrent Freak, the movie – which is an unfinished work print – has been downloaded some 900,000 times.